Home • Blog • Feeling Stuck In The Middle? Feeling Stuck In The Middle? There are millions of carers in the UK without a support system or access to respite care services. It’s time to reach out and find your network. In recent years, those in the care sector have become increasingly concerned about a phenomenon known as ‘sandwich care’ and it is estimated that there are now 2.4 million sandwich carers living in the United Kingdom. This refers to people who are simultaneously caring for children and older parents at the same time. Those who are living with such responsibilities often struggle to balance the care needs of the two different groups, especially when they may also have other responsibilities, such as a job. In many cases, these care givers are also unaware of the help that is out there, and the support networks available to them. In this blog, we explore the issue of sandwich care and explain how Abbots Care can help. The term ‘sandwich carer’ usually refers to a person who simultaneously cares for a child or children under the age of 18, as well as an older parent. However, it can be used more generally to refer to people who have care responsibilities for multiple generations. According to research from Carers UK, contributing factors to the sandwich carer phenomenon include an ageing population and people starting families later in life. 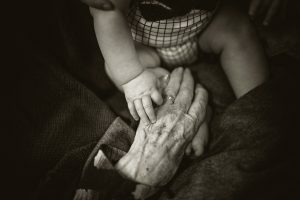 Longer life expectancy, in particular, has led to an increase in the number of people living with complex needs and illnesses, with dementia being a leading example. 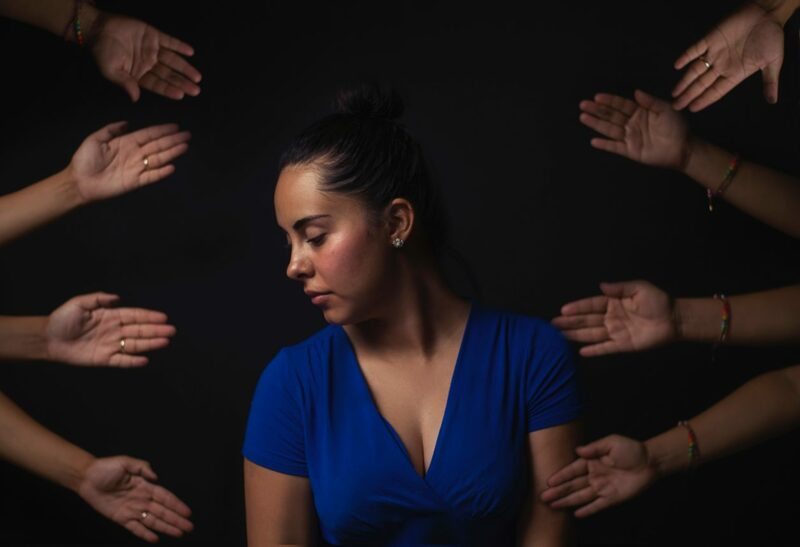 In many cases, this poses real problems for ‘sandwich carers’, as they struggle to juggle their responsibilities and this can lead to the carer becoming overwhelmed, tired and unable to deliver quality care. Unfortunately, it is a problem that is only likely to get worse. The Alzheimer’s Society states that the number of people in the United Kingdom living with dementia is expected to exceed one million by 2025. Meanwhile, as an article for The Guardian points out, financial challenges, such as rising house prices and higher tuition fees, are also keeping younger generations living in the family home long past the age of 18. In most cases, ‘sandwich carers’ suffer in silence, feeling unable to communicate their problems with anyone, or acquire the right level of assistance. 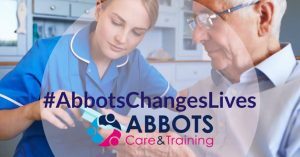 For those in the Dorset and Hertfordshire areas, however, Abbots Care can help in a number of different ways, alleviating much of the stress and helping to improve care provisions. We have been providing high quality and specialist care services in the Hertfordshire region for over 22 years, and offer a wide range of respite care and specialist support services. All of our professional care workers are trained to the highest level through our award-winning training programme, ensuring your loved ones are in the best hands. Our care workers are specially trained to provide support and home care for adults and children living with a wide range of complex needs, including mental health, learning disabilities and respite care. We are also able to offer overnight and emergency care, and are committed to responding to the needs of our service users 24 hours a day, seven days a week. For carers who are struggling to juggle their care commitments, one of the most valuable services we offer is temporary or respite care. This can help those who regularly care for their parents or loved ones to more effectively balance their responsibilities, take a well-earned break from caring, or gain some much needed support before the struggle becomes too much. In terms of what our care workers can do to assist with home care, we ensure they are trained to offer everything from basic enabling care and practical care, where they may assist with household tasks and shopping, through to much more specialist, hands-on care – and we will work with you to devise a personalised care plan that suits you. More information about our care services and the additional support we can offer can be found here. Challenges like an ageing population and people starting families later in life have led to the rise of multi-generational care giving, or sandwich care. This provides real challenges for carers, who need to juggle the responsibilities of providing care for multiple people with their own day-to-day responsibilities and commitments. At Abbots Care, we offer a range of services to ease the burden, from respite care through to emergency and overnight care. If you are feeling stuck in the middle with sandwich care and are unsure of where to turn, call us today on 01727 891004, or send us an email at info@abbotscare.com and a friendly member of our team will be happy to help.